Yesterday PM Narendra Modi at a rally said that N. Chandrababu Naidu, the TDP president, and Andhra Pradesh Chief Minister, had betrayed TDP founder N.T. Rama Rao by joining hands with the Congress. Around four decades ago, when Naidu was the cinematography minister in the Congress government in Andhra Pradesh, he came close to NandamuriTaraka Rama Rao, film actor and politician, commonly known as NTR. He had become a mass icon by playing roles of Hindu deities, joined politics and launched TDP to wipe out the Congress in the state. Naidu married NTR’s daughter Bhuvaneswari in 1981 and two years later joined TDP after it came to power. He became the backroom boy and a close confidant of his chief minister father-in-law. Just a 10 years after joining TDP, Naidu staged a coup against his father-in-law, wrested control of TDP and became the chief minister. After Naidu’s revolt, NTR had stated his son-in-law’s days of pre-eminence were numbered and he would seek his revenge. In his last interview, NTR compared himself to Shah Jehan, a 17th-century Mogul emperor who was imprisoned by his son, and predicted that he would gain his revenge against what he called “the backstabbers” in his family, especially his son-in-law and successor as chief minister, Naidu. However, NTR did not recover from the political setback and died of a heart attack a year later in 1996. And Naidu went on to become a major leader in the state and thrice the chief minister. 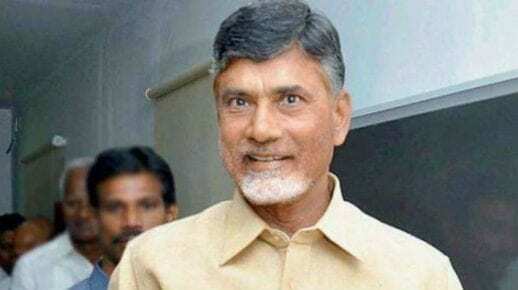 As CM, a tech-friendly Naidu styled himself as the ‘CEO’ of the state and tuned Hyderabad into an IT hub attracting major multinational tech giants such as Microsoft, IBM, and Oracle. Forty years after he became a Congress MLA, with a big intervening period when he was a fierce Congress opponent, Naidu is back in support of Congress after breaking TDP ties with the NDA in March last year demanding special status to Andhra Pradesh. But another reason could be the BJP’s proximity with Naidu’s rival YSR Congress led by Jaganmohan Reddy, the son of deceased Congress leader and former chief minister YSR Reddy. Naidu is in Delhi today sitting on a dharna demanding special status for Andhra Pradesh. He is hogging the limelight with several opposition party leaders including Congress president Rahul Gandhi by his side. Naidu may have realized before that revolt against Modi was his best chance to make a grab at power in the Centre.